Bernier also wants to cut the corporate tax rate from 15 percent to 10 percent, eliminate the capital gains tax which mainly benefits the wealthy, while slashing income taxes on the wealthiest. He wants balanced budgets—on the backs of working people. With this in mind, Bernier advocates privatizing healthcare, airports, and Canada Post, for starters. He also wants to get rid of the supply management system which has kept family farms afloat in Canada’s dairy and poultry industries, instead of bankrupt as is happening to many family dairy farms in the U.S. northwest. He opposes equalization payments that are intended to address uneven development across Canada and guarantee equal access to universal social programs and Medicare. Bernier wants more free trade deals like NAFTA and CETA that destroy jobs and drive down wages while undermining sovereignty and democracy. He also wants to eliminate inter-provincial trade barriers which have protected workers’ wages and working conditions to some degree against the power and greed of the biggest national and transnational corporations. Bernier opposes action on climate change and the Liberal government’s carbon tax in the first place; never mind that it has done nothing more than put a price on carbon emissions. 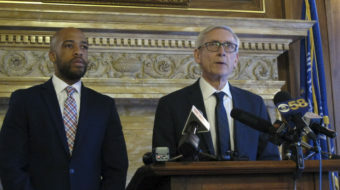 He has a special place in his heart for gun owners, who he says have been harassed and should be reimbursed for property loss from previous government ‘gun grabs’. Bernier’s government will “respect the rights of firearms owners”—but not women’s right to choose. Bernier proposes a free vote on abortion rights in Parliament. One of the first to praise the new party is the leader of the Libertarians, who wants a merger of the two parties. But Bernier’s interests lie elsewhere for the present, as he works to shear off Tory MPs, members, and donors to support his fledgling party and re-form the political right in Canada on a more populist and right-wing base. True to form, Bernier has launched his party with a sharp attack on his former colleagues, calling the Conservative Party “morally corrupt.” Possibly the only thing Bernier has said that has a ring of truth to it, the criticism was not about the past, but about the future. 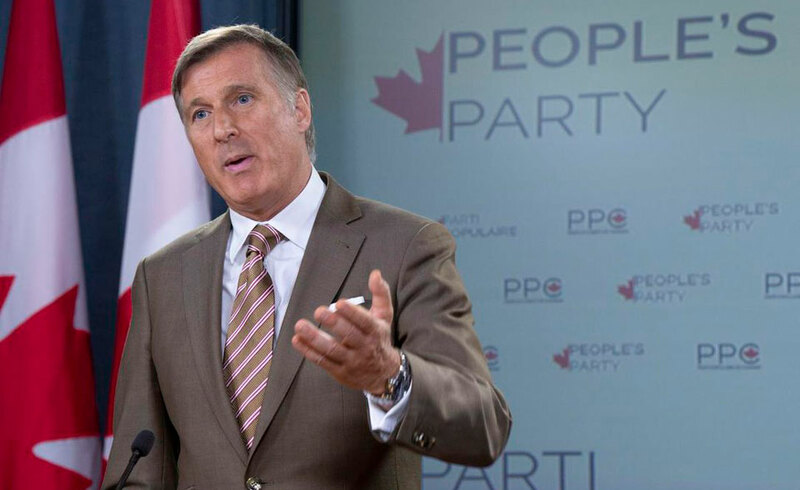 Bernier’s criticism is that the Tory caucus is unwilling to adopt the stance and policies of far-right parties like the Republicans to the south, or even more right-wing parties in Europe. His new political party is evidently willing and anxious to provide just such an alternative in Canada. Whether it will wither away or—like the Reform Party or Wild Rose in Alberta—re-invent the Conservative Party in an even more reactionary direction, remains to be seen. Working people across Canada are struggling with widespread unemployment and precarious work, stagnant wages, and declining purchasing power, unable to afford either post-secondary education or housing, carrying massive debts while falling further and further behind. Anger is growing at a political system and Parliament that are unable or unwilling to address these massive problems. 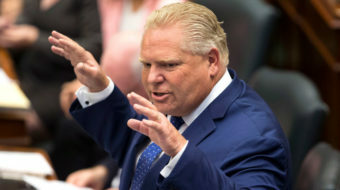 These are the people who are most vulnerable to the siren call of the Doug Fords, the Donald Trumps, and the Francois Legaults, who declare themselves against “the elites” and “for the people,” but who neglect to mention that it’s the rich and the corporations they actually represent. Exposing these reactionary political forces for what they really represent is half of what’s required today. The other half is to mount a real fight for policies that will meet people’s needs for jobs and rising wages and living standards; for peace, and for a progressive majority in Ottawa that will fight to deliver those policies. That’s the job for the next 12 months leading up to the federal election. What we get on election day will depend on what the labor and democratic movements do in the months before October 2019. We can be absolutely certain that the corporations and reaction will use every minute of this time to consolidate and strengthen their positions and their favored parties in the months ahead. 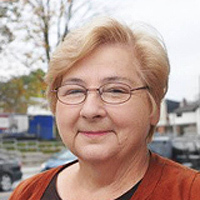 The Canadian Labour Congress must take up the challenge, working with its social and political allies, to make the issues and the solutions visible, and to mobilize public support for policies and a parliamentary majority that puts people’s needs before corporate greed, for peace, for environmental action, and for curbs on corporate power. That’s the best answer to Bernier, and to the Tory Party he came from which continues to represent the most powerful and reactionary forces in Canada today.